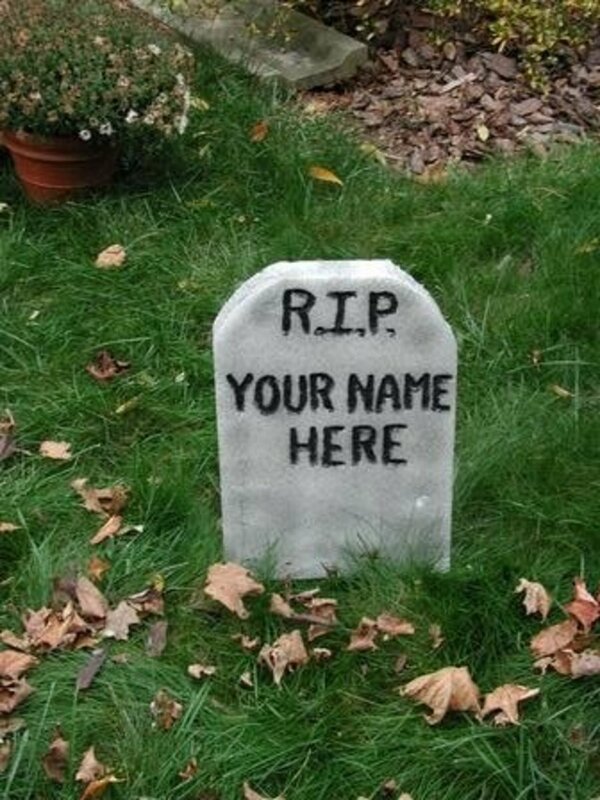 Actually, I won't have a tombstone. I have chosen to be cremated. But if I did, I would like to think some of these words might be there: Caring, Thoughtful, Responsible, Principled, Patient, Loving, Self-sufficient, Resourceful, Independent, Respectful, Honest, Fair, Dependable, and Spiritual. This is a story about learning and growing. I was born two days before Christmas to a Mother who was only 17. Less than three years later I became an orphan. 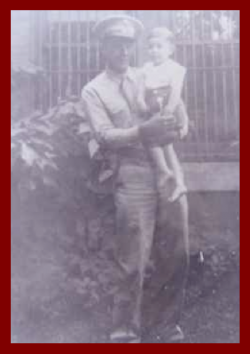 Shortly before my Dad was shipped overseas, he discovered that my mother was pregnant by another man. Being the responsible person that he was, he made arrangements for the care of my sister and I before he left. The "Goodbye" picture of me and my Dad is the only picture I have of my Dad. My son and I took a similar picture at the same location 53 years later. My Dad gave his life, in service to the country he loved, on November 14, 1944. Thank you Dad for being Caring, Responsible, Thoughtful and Principled. I've tried to follow your example. My Father's Mother - Gram to me - raised my sister and I. She had already raised seven of her own children. She had at least 9 other grandchildren. By the time we arrived she had no husband. 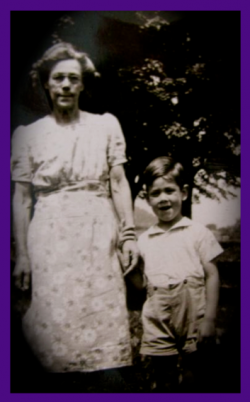 Gram was dirt poor money-wise, but she was rich in love, caring, patience, perseverance and resourcefulness. She provided us with a life that was simple, yet sufficient and memorable. We didn't even have cold running water or an inside toilet until I was around 10 years old. Hot water for bathing and laundry was heated on the kitchen stove. We walked every where we went, unless someone else drove us. We depended on Gram's garden and her canning expertise for much of our food. Someone else gave me my first bicycle and a sled. If I wanted to watch TV, I went to a neighbor's house. We never had a telephone and to this day I'm not quick to answer the phone - LOL. We never knew we were poor - what fun. Gram died on Mother's Day one month before our daughter was born in 1966. Thank you Gram for teaching me about Love, Caring, Patience, Self-sufficiency, Resourcefulness, and Responsibility. Our new Pastor lived on our street and introduced me to the idea of Parochial Boarding School. I have no idea where all the money came from for such a venture. Work was part of the curriculum and I spent two complete summers working on campus, so I guess I did what I could to defray expenses. 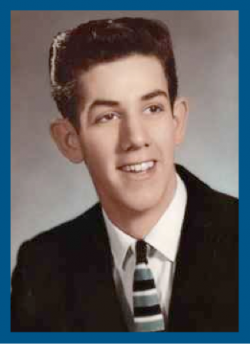 I graduated in 1959. We had 59 kids in our class and we were the first four-year class in our school's history. Four years in BMA's reasonably strict and regimented environment was good for me. It was a great start on my journey to manhood. While I never excelled in my studies, I made a lot of progress in sports. I loved pitching and playing third base, ping-pong and basketball. I won the marathon and high-jump in my Junior year. My basketball team won the "championship" in my Senior year. I got the first pick in the intramural draft - LOL - The tallest kid at BMA was once my roommate. I finally started getting A's in History my Senior year. I feel the keystones of my learning experience at BMA were Independence and Respect. I am grateful for that. I feel the keystones of my learning experience at BMA were Independence and Respect. My desire to become college educated was always driven by good intentions, but I was never successful in doing so. I came up one semester short of receiving a college diploma. Marriage and a young family slowed down that dream quite a bit. My work experience includes 15 years in the Food Service industry as cook, baker, manager and consultant. That led to a very satisfying 15 year career as a Nursing Home Administrator. I saw this career as an opportunity to say Thank You to my Gram. I always tried to treat our patients with respect and appreciation because of the sacrifice that my Gram made for me. I also learned during this career that our patients wouldn't receive the care they deserved unless I truly cared about the staff that provided that service. I found great satisfaction and a significant amount of success in that approach. Being a NHA was rather demanding and after listening to Paul Harvey, I decided to start my own sole proprietary business. 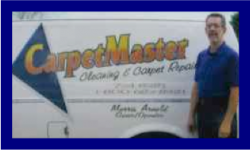 In 1990 I bought a ServiceMaster franchise. In 1993 I went independent and spent my final working years as a self-employed Owner/Operator. I might still be working had I not broken my back in 1998. I retired at the end of 2007. Being Self-employed really brought home the value of all the words in my epitaph. How Did I Become a Squidooer? Some would say it's because of the choices I made. Others would say it is what it is. I can live with either one or a combination of both. I'm sure my guardian angel will have the full and complete answer when we get to sit down and talk about it. I'm also certain heaven's film department has captured every detail. Back in 2007 I choose to augment my SS income by way of the Stock Market through Option Trading. Everything was going great until the bursted housing bubble put the market in a great deal of uncertainty - other wise known as volatility. I thank Washington for this fiasco. I would like to name names, but this is not the time or place. Timing is everything! If you were trained to benefit from the misery of others, you were fine. I was not prepared and I joined the misery camp. Bummer. Sad to say, I was not alone. I have spent the better part of the last four years trying to right my Titanic-like retirement income. During this long, frustrating and unfruitful search I discovered PPGirl. She introduced me to Squidoo and the idea that I could get where I wanted to be - Active, Independent, Productive and Successful. That was in 2010. I started my first lens, but I got sidetracked and never completed the process. However, I stayed on PPGirl's email list, and after two years plus I am back in the program lock, stock, and barrel - and I love it! The lens I started in 2010 has been published along with 7 others. I enjoy writing and sharing and I am certain that PPGirl and Squidoo will give me a great and satisfying opportunity to exercise all the words in my epitaph. DON'T GO IT ALONE - check out One Week Marketing. I took a break from organized religion over 15 years ago and I have never looked back. I made this choice because I don't know of any organized religion that supports or promotes my view of God. That doesn't make me right or wrong - it's just the position that my spiritual journey has brought me to. My study of scripture has been based on "What does this text tell me about God." That same study has also taught me to be willing to be taught by God and firmly support the religious freedom of others. To learn more of what I think is a more positive and larger view of God please visit my Website. God is Not the Person His Enemies have made Him out to be. Do you ever question your religious beliefs? Do you see God as arbitrary, judgmental, severe, exacting, unforgiving, vengeful? Do you think Jesus has to compensate for an angry God? 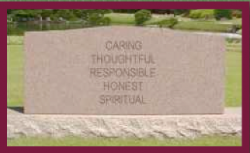 FALLING LEAVES CREMATION URN ADULT/LARGE 10.5"
Did I stay on message of Learning and Growing? Getting to Know Me - Did This Help? Floman, it was good getting to know you through this lens. From what little I know about you from my visit here today, I think it's safe to say that all of the words you'd like to see on your epitaph will be fitting. Very interesting lens that I, also, relate to in many respects. I'm looking forward to your lens that 'names names'! Great work and congratulations on your Purple Star. Wow - Thank you the SquidAngel Blessing. I'm honored! I've been enjoying your lenses so far, but this one grabbed me from the get-go - what a creative and "telling" introduction! Reading about your life and what you learned along the way was so interesting, and made me feel grateful for my own somewhat later, much easier upbringing. A SquidAngel blessing here too, and well deserved. @Titia: Thank you for your very thoughtful comments - It's great to be a part of this program and rub shoulders with all you fine Squidooers. I really enjoyed my visit to your article which I think is greatly written and does honour to your epitaph. People can learn from the way you scrolled through life, learning the most important things it could teach you. Blessed by this Squid Angel. My wife and I are in our 52 year of playing house together. Thanks for commenting on my lens. I'm finding this stroll with Squidoo to be an absolute joy. I look forward to it everyday. Welcome to the Rocket Squids. 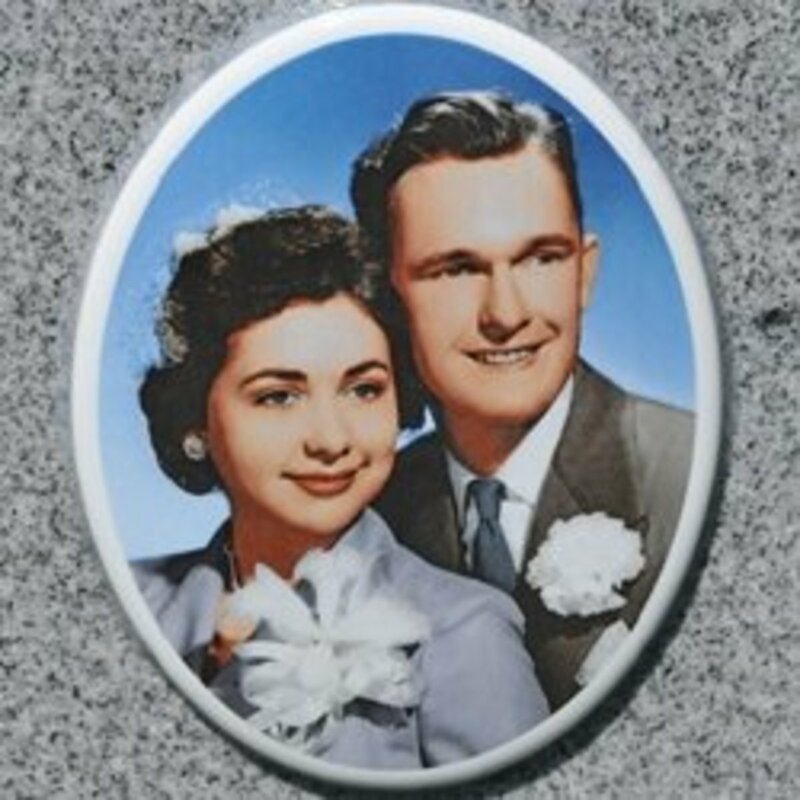 I enjoyed reading this lens, I am most likely in your age group as my husband and I have been married 53 years, those years 50-70 years ago were hard years, so I can relate to yours. Will be looking forward to reading more of your future lens as you stroll through 2013 with Squidoo. Very interesting lens...it was great to get to know a bit about you. I look forward to reading more of your lenses. Welcome to RocketSquids. Thank you very much for your comments. I really appreciate your suggestions. I am very receptive and anxious to know the best ways to construct a Squidoo lens. I'll try to incorporate both of these suggestions yet today. The learning and growing continues.